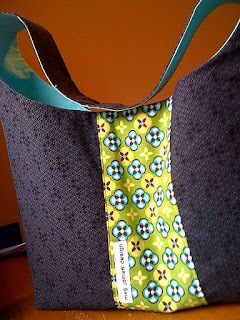 My sister-in-law has been spreading the word to her pals about Meg James Design goodies! As a result, her good friend Kyle from Bloomington, IN decided to place an order for a couple of pieces a little while back. 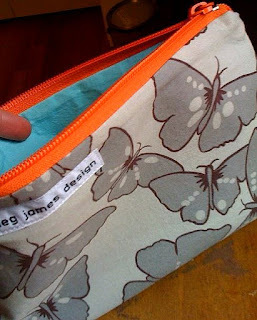 She saw the butterfly pouch in my slideshow and had to have one of her own. 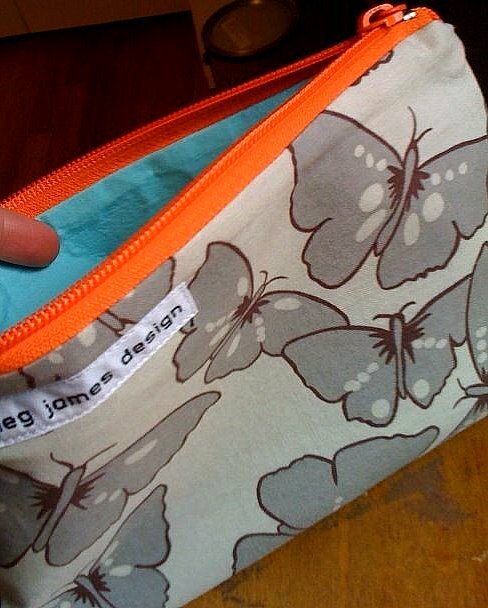 I don't blame you Kyle - that butterfly fabric is so gorgeous in its unexpected neutral palatte. 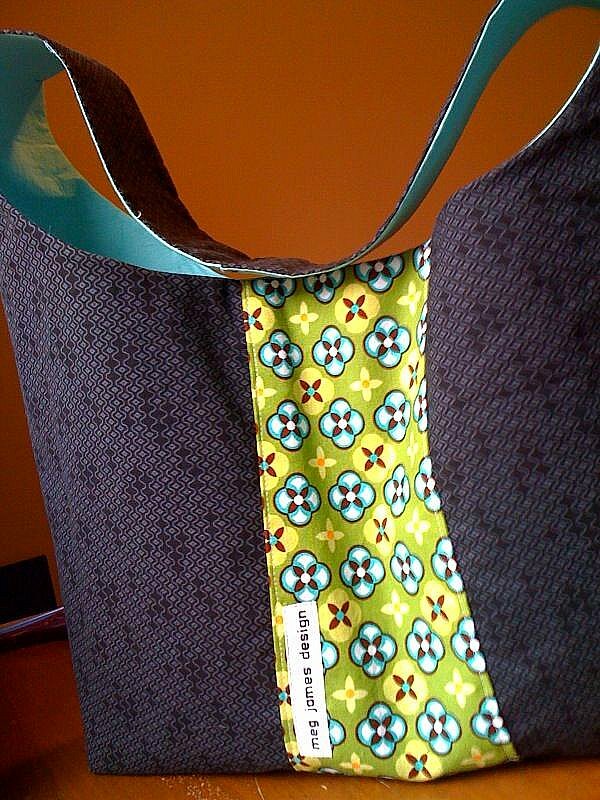 And to complete the package, we designed an original hobo style MJD in a color story that fits her wardrobe.